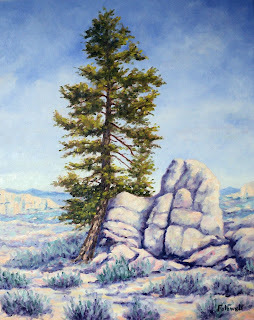 This is a Plein Air oil painting I did of a scene in the Hartman Rocks area just south of Gunnison of one of the rock formations and a very old weathered Douglas Pine tree braced up against it. The Hartman Rocks area is named after the first settler in Gunnison, Alonzo Hartman, who came here in 1872. The Hartman Rocks area is a high mountain desert area with unusual rock formations, sage and old weathered trees. The area is now a popular hiking and mountain biking area. This painting is 20x16 in size on stretched canvas. $1,300.00 plus H/S/, contact Rocky Mountain Frame and Gallery 228 North Main, Gunnison, CO. 81230 at (970)641-5033. This is an oil painting I did of an old cow camp cabin in the High Country during the Fall. This painting is 40x30 in size on stretched canvas. 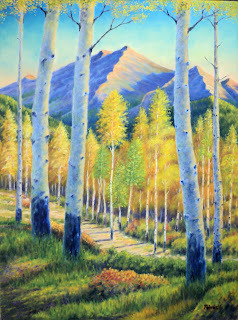 $5,500.00 plus H/S, contact Rocky Mountain Frame and Art Gallery 228 North Main Gunnison, CO 81230 at (970)641-5033. 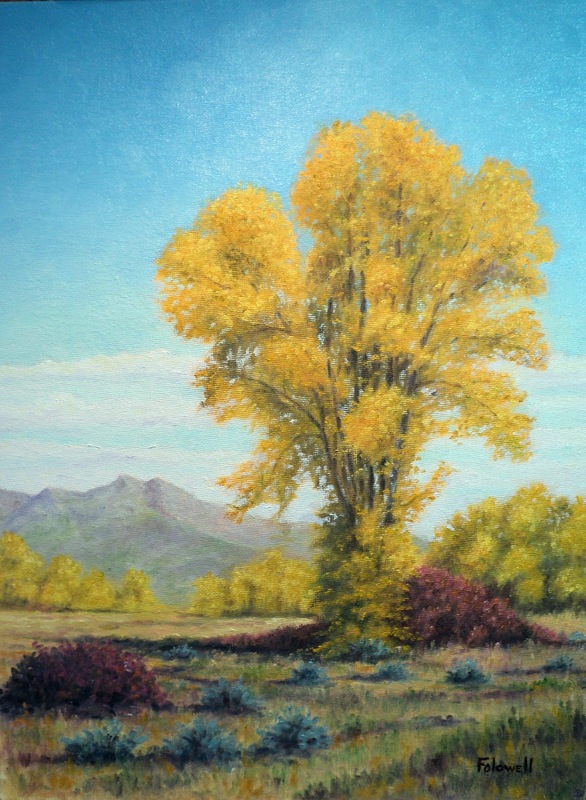 "Old Denver & Rio Grande Railroad Station Sargents, CO."
This is an oil painting I did this Fall of a cottonwood tree that is located about fifty yards East of where I live here in Gunnison, Colorado. The painting is 16x12 in size on canvas board. 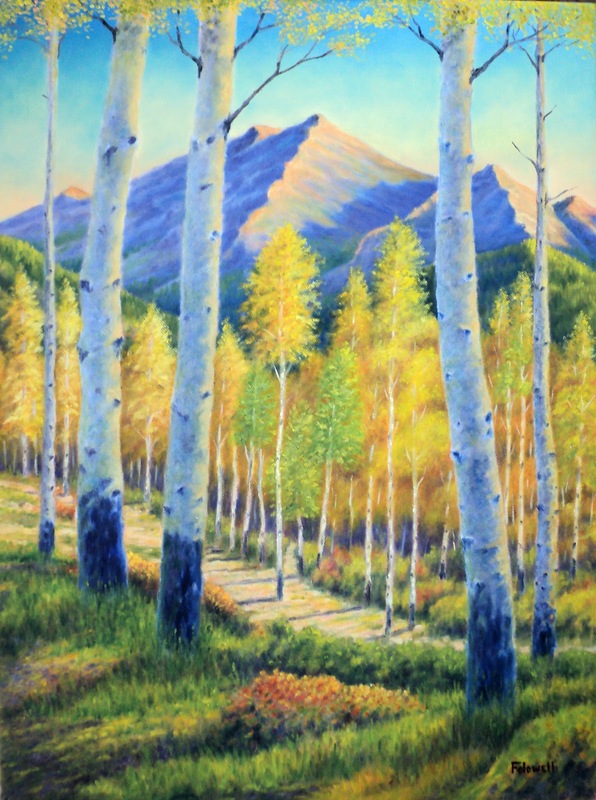 $750.00 plus H/S contact Rocky Mountain Frame and Art Gallery 228 North Main Gunnison, CO 81230 at (970)641-5033. This is an oil painting I did of an early morning Fall scene that are common here in the Gunnison high country. This painting is 24x18 in size on stretched canvas. 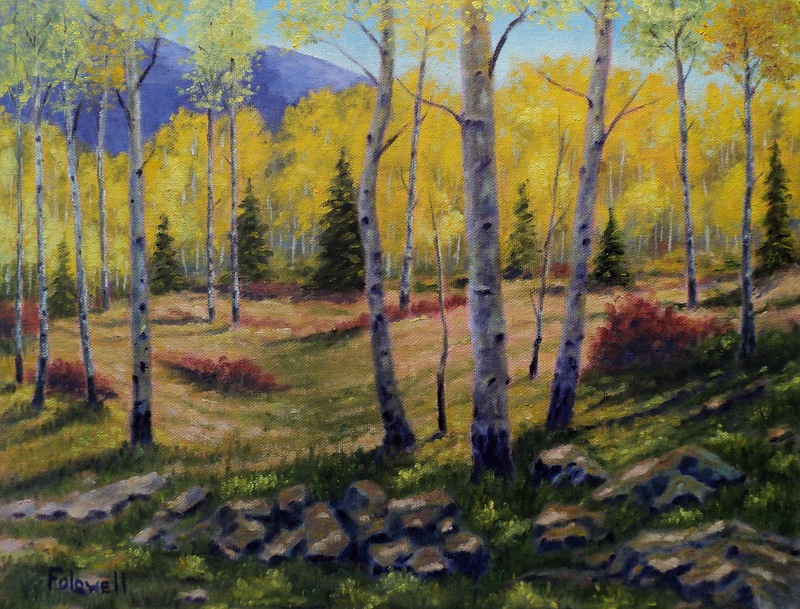 $2,000.00 plus H/S contact Rocky Mountain Frame and Art Gallery 228 North Main Gunnison, CO 81230 (970)641-5033. All paintings displayed in this blog are framed. 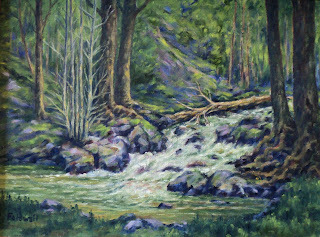 I grew up in southern Oklahoma and during those formative years my main interests were drawing and exploring the outdoors. At the age of fourteen a teacher told my parents she believed I was naturally talented artistically and they arranged for me to take a year long oil painting class given by a local artist where I discovered a passion for painting and art. 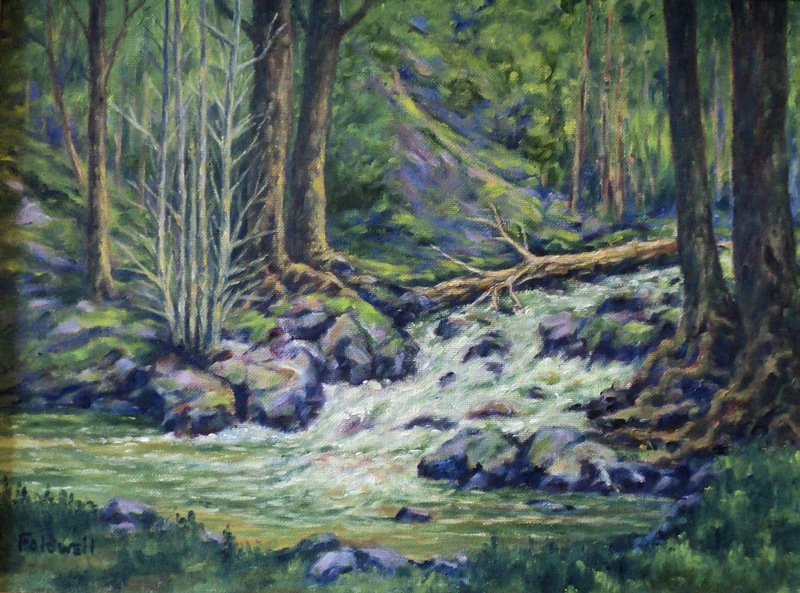 Since I am an avid outdoorsman I love painting plein air and use those paintings for reference for my larger studio paintings. My style of painting is mostly self taught and intuitive leaning more toward Realistic Impressionism. 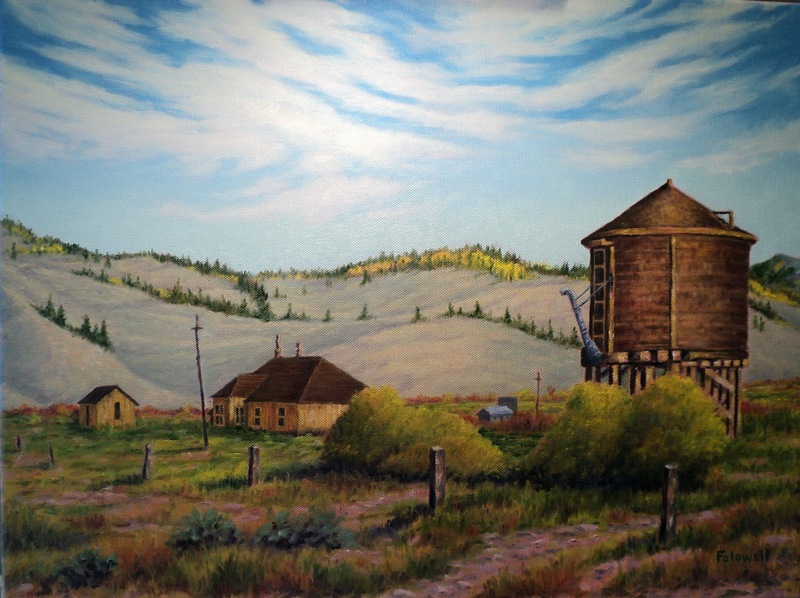 My paintings are in private collections in Colorado, Arkansas, Texas, Oklahoma, Idaho, New Mexico, Arizona, Georgia, Kentucky, Nebraska, North Carolina, and Kansas. 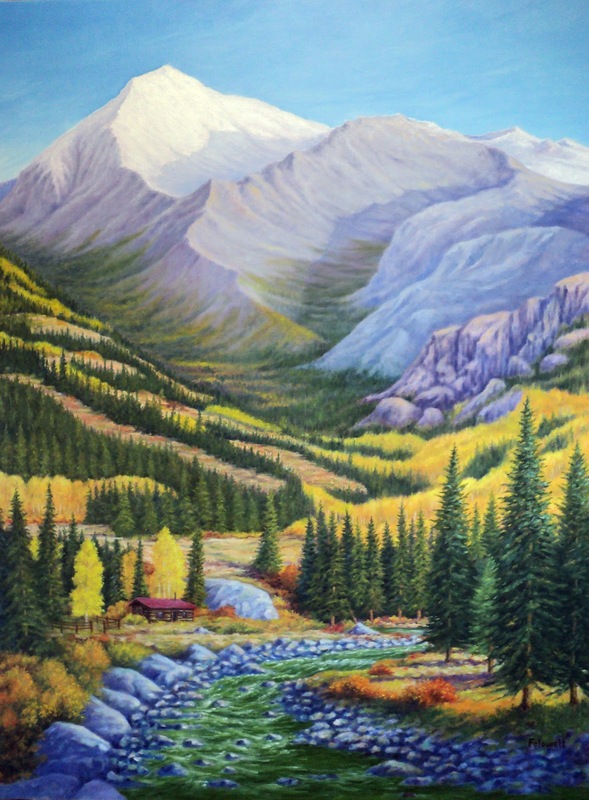 I am a member of the Artists of the West Elks and represented at The Rocky Mountain Frame and Art Gallery in Gunnison, Colorado.